Phil and his son, Harry, were looking for an adventure so they decided it would be fun to drive from southern Mississippi to Minnesota to spend an afternoon with me. 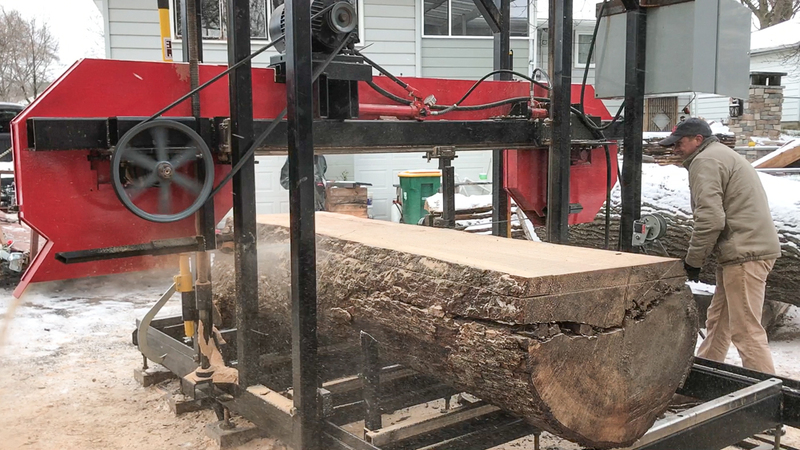 They pulled a 30ft trailer loaded with stuff to saw but unfortunately the November weather wasn’t super cooperative so we were only able to saw most of one 30″ diameter Pecan log. Phil and Harry arrived several hours late that day after they woke up in the morning and their truck wouldn’t start due to the cold. They spent several hours trying to get it warmed up enough to get running. By the time they pulled up it was around 1pm. 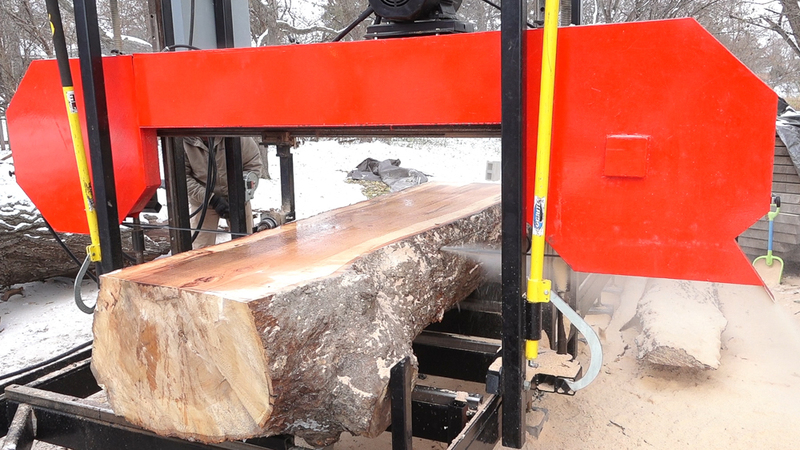 We grabbed the first pecan log with my trailer to shuttle it down the driveway to my sawmill. I was immediately surprised by the density of this log. 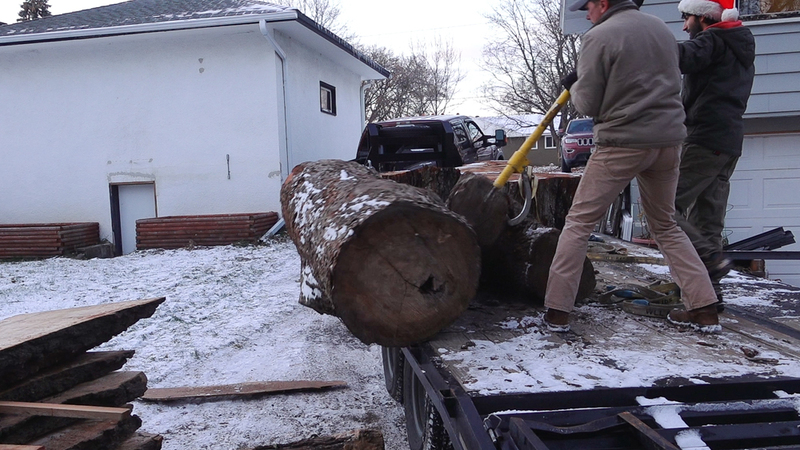 The trailer was acting like this was a 48″ log. 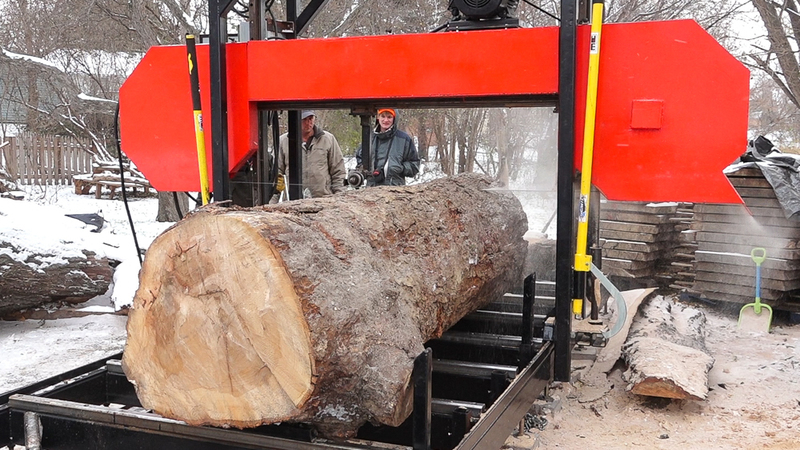 We offloaded the log and went to work getting it positioned. 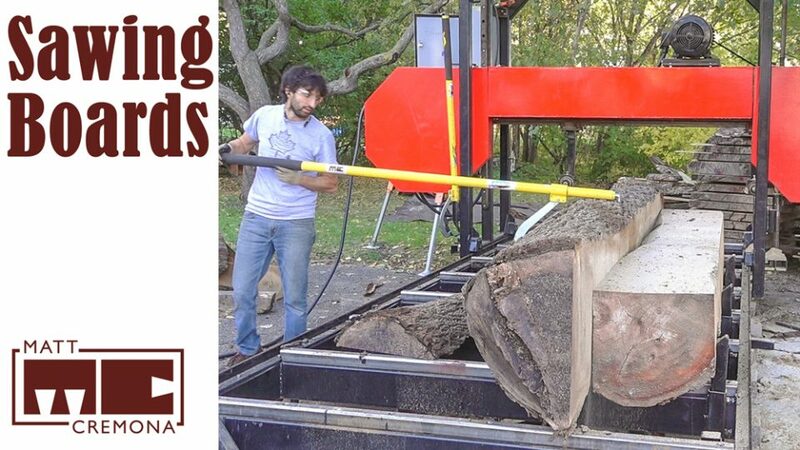 The 78″ cant hook made rolling the log into position somewhat easier. 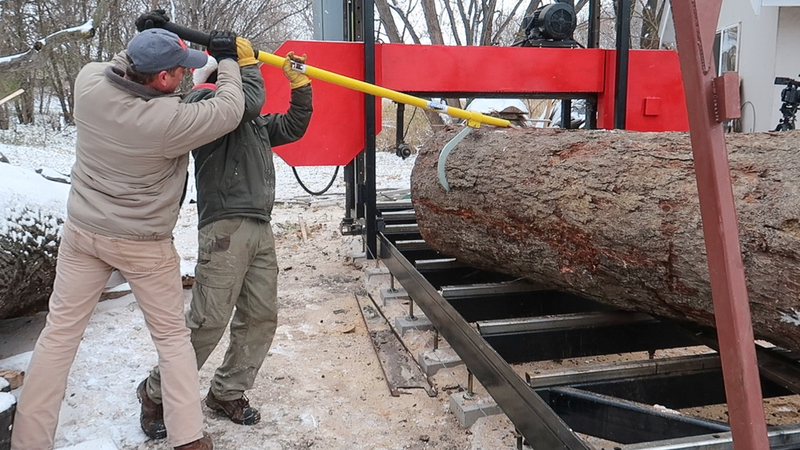 The log also had a slight taper so we used a bottle jack to raise one end. After about an hour we made the first cut. 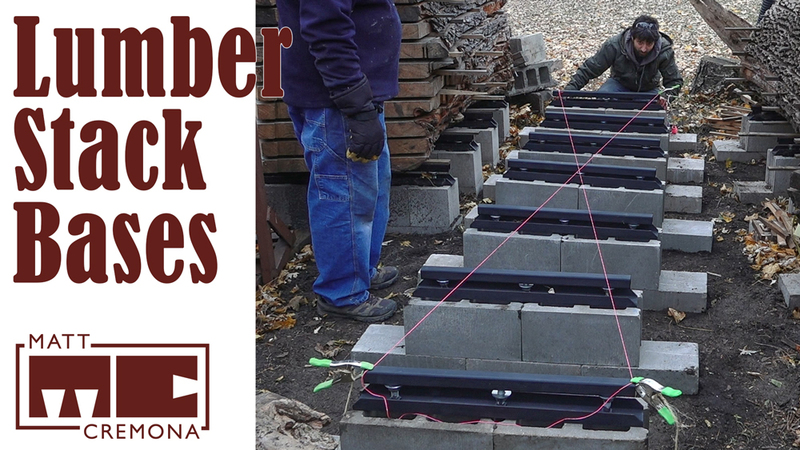 We cut a couple of slabs and started moving them out of the way. It was absolutely insane how much heavier pecan is than species that I typically saw. 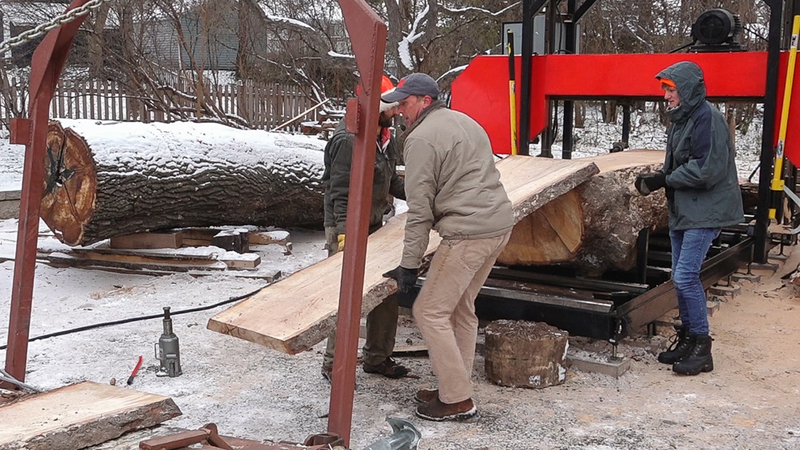 With those couple slabs out of the way, I handed the controls to Phil so he could try the saw out first hand. He purchased my sawmill plans and intends to build it. I think being able to run the saw got him extra excited to get his saw built. It was getting colder and we were growing more and more miserable so there wasn’t as much water tossing as there typically is. Here’s a look at the color and grain of the only water toss preview we did that day. Beautiful stuff! 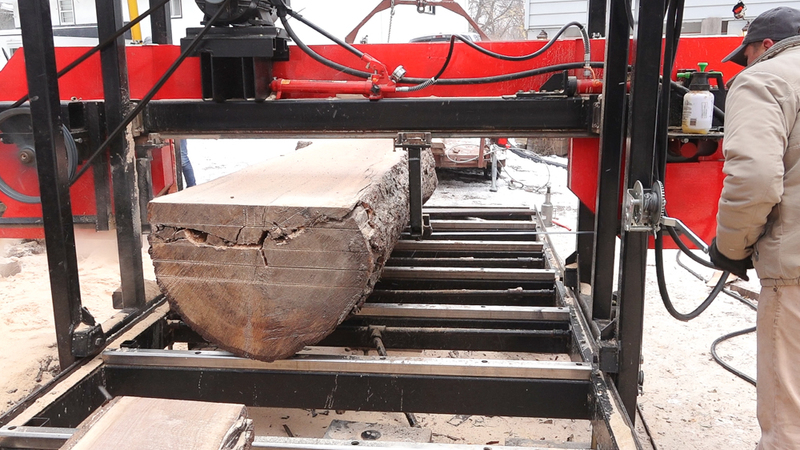 This log did have a split from when it was felled so we did our best to make the cuts to remove and isolate the split. At about 4 we decided to call it a day. It was starting to get dark and getting colder and windier. The blade was also getting dull at this point and needed to be changed. 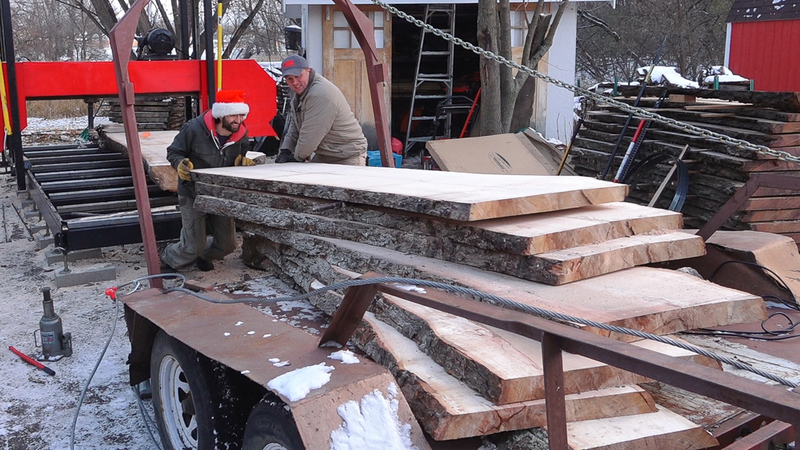 We got the rest of the slabs loaded onto the trailer so we could shuttle them back to Phil’s trailer to be loaded for the return trip. 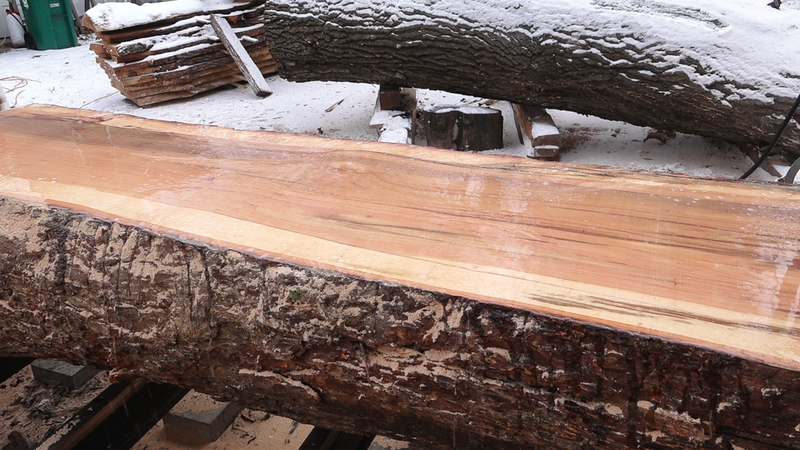 Phil decided to leave me the other pecan log and the live oak crotch log (as well as the remainder of the first log). 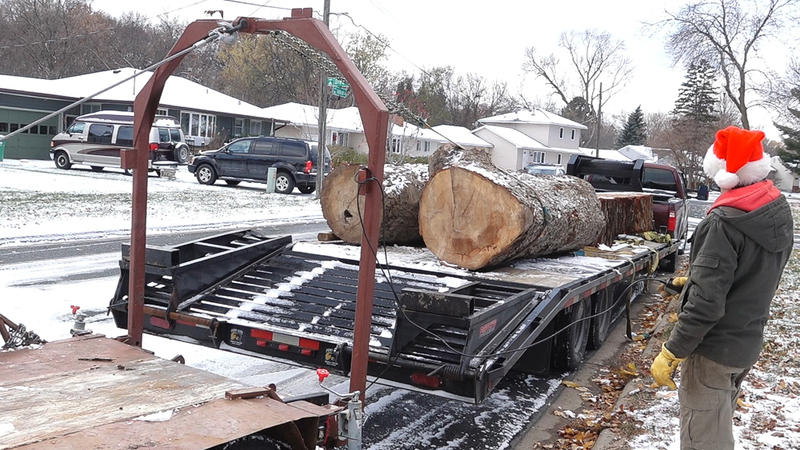 These were easy to unload – we just rolled them off the side of the trailer. I’ll be sawing these soon and can’t wait to open them up!